Historically, most pancreatic cancer patients whose tumors grow outside the pancreas to encompass veins and arteries have been told the cancer is inoperable and they should prepare for an average survival time of 12 to 18 months. A newly published Mayo Clinic study finds that a pre-surgery treatment plan focused on three factors can extend life years beyond that. The findings are published in the Annals of Surgery, the journal of the American Surgical Association and European Surgical Association. Extended chemotherapy before surgery; the more cycles they had, the longer the survival. A CA 19-9 tumor marker that fell to a normal level after chemotherapy. A tumor that, when surgically removed, was found to be all or mostly dead due to chemotherapy. Lead author Mark Truty, M.D., estimates that roughly half of his patients with vein and artery involvement came to him after being told elsewhere that their cancer was inoperable. He hopes the study findings convince physicians that for many such patients, long-term survival is possible if they receive appropriate treatment before surgery. 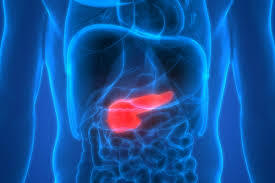 About 55,000 people in the U.S. are diagnosed with pancreatic cancer each year. In about a third, the tumor has not spread to other organs, but has grown outside the pancreas to wrap around veins and arteries; in medical parlance, they are considered borderline resectable or locally advanced. The conventional wisdom has been that surgery gives pancreatic cancer patients the only chance at long-term survival, but that these patients are inoperable due to a high risk that cancer will be left behind and their prognosis for survival will be poor. The Mayo Clinic study refutes that conventional wisdom. The research team followed 194 of these patients treated at Mayo over seven years; all received personalized chemotherapy followed by radiation and tumor-removing surgery. For most patients, the surgery included removing and reconstructing veins and/or arteries ensnared by pancreatic tumors. Crucial to their care before surgery was finding the right chemotherapy and continuing it until the CA 19-9 tumor marker was normal and positron emission tomography, a form of advanced imaging known as a PET scan, showed the tumor was dead, Dr. Truty said. The more of those three factors patients had, the better they did. Because the three factors were all related to chemotherapy and the response to it, it may be possible to help many more patients achieve them by adjusting their chemotherapy before surgery, Dr. Truty says. Twenty-nine percent of the patients had all three factors identified in the study; their median survival time has not yet been calculated because more than half are still alive. An additional 29 percent had two factors; their median survival was 58.6 months. Thirty-one percent had one factor and a median survival of 29.7 months. Eleven percent had none of the factors; their median survival was 18.5 months. Just as important as identifying who is a good candidate for surgery is pinpointing who is a poor candidate, Dr. Truty says; the operation is more complex than surgery in patients whose cancer has not spread beyond the pancreas, and the risks must be weighed against the predicted benefit. Given the magnitude of the surgery, it is only performed at a few centers in the U.S., including Mayo Clinic. Because of the study’s importance to patients, Mayo Clinic paid a fee to make the article open to the public on the journal’s website: https://journals.lww.com/annalsofsurgery/pages/default.aspx. Three factors in pre-surgery treatment plan lengthen life for advanced pancreatic cancer patients. Appl Rad Oncol.